Our brain is a powerful tool. If we train our brain to think positively on a daily basis, chances are that we will have a more positive outlook in life. We tend to attract the energy we carry...and with that thought in mind, I invite you to the practice of thinking happy thoughts! To begin this practice I encourage you to write 5-10 things that make you happy or that you are happy about. Try to include people, memories/situations, places, and positive traits about you or about life itself. The more you write and continue to add, the more happiness you will invite into your life. Now, keep this list close to you and read it once a day. Add more items at any given moment. 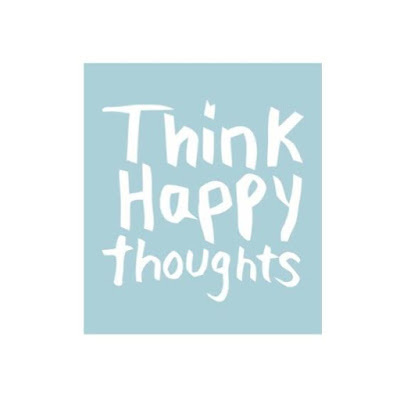 The more that you reinforce your brain to think happy thoughts, the easier and more natural it will be for you to produce happy thoughts on a daily basis. This exercise will also help to leave less space to the unnecessary thoughts that sometimes try to contaminate our beautiful minds. For questions or more information about what I do please visit www.thezenwave.com.